“Laughter is the best medicine” – so rightly it has been said that being in the state of happiness or laughter can not only solve health problems, but also fill a person’s life with positivity. Movies are a great source of entertainment in today’s world, where people do not have time to give a break to themselves, where they are always surrounded by all kinds of pressures and stress. Watching a movie helps people to recreate, to relieve their stress, so that they can sit back and relax with 3 hours of pure entertainment. And comedy movies do just that. They are filled with jokes and humor, with a lighter take on life and its issues which make people forget all their tension and worries, and laugh their hearts out. Comedy is said to be the most difficult genre, that it is the most difficult task to make people laugh. Sometimes it is easier to make them cry than to laugh. All the comedians, all over the world, who act in movies and perform stand-up acts, deserve a standing ovation. Their contemporaries in India are no less. They make people laugh till they can’t c breathe, by their acts. The Hollywood version of India – “Bollywood” has never been behind in giving its audiences their dose of laughter and fun in its path breaking and to-die-for cult classics in the genre of comedy. Released in 1968, the movie is a simple love story of two very opposite characters, Bhola(Sunil Dutt) and Bindu(Saira Banu) who turn out to be neighbors. In order to impress her, Bhola makes many attempts at music, making Bindu’s Masterji (Mehmood) his rival. All this leads to madness and great humor with fate ultimately getting the couple together. The movie is a must-watch for people who want to laugh and dance to the tunes of R.D. Burman with classics like, “Mere Saamne Wali Khidki Mein” and “Ek Chatur Naar”. A cult classic of the 80’s, brought to the audience by NFDC and Kundan Shah, the movie is a dark satire on the shady world of politics and the rampant corruption in our country. Two professional photographers, Vinod (Naseeruddin Shah) and Sudhir (Ravi Baswani) set out in the big bad world of Bombay to get closer to their dream of having their own photo studio, and they fall into the traps of Bombay Real Estate and are faced with the bitter truths of society. The movie boasts of an amazing ensemble cast and one of the longest comic scenes ever, i.e. the Mahabharata scene. True comedy lovers can watch it again and again plainly because of the great comedy, and get much more than just that from it. Based on the famous Shakespearean play, ‘The Comedy Of Errors’, the Gulzar classic released in 1982 is evergreen in the minds of comedy lovers. It has the perfect storyline, when two pairs of identical twins are in the same city and are mistakenly identified by their families and the other people who know them, leading to complete chaos and confusion. Amazing performances by the whole cast, and honest, witty comedy without any cheap jokes make the movie a one of its kind. No movie never has and never will be able to replicate the magic of a “double trouble” comedy like this classic piece. One of Hrishikesh Mukherjee’s gems as a director, Chupke Chupke boasts of a simple story, with strong emotions and beautiful music, like all his other films. This is also a story of mistaken identities and confused love stories, but a completely new take on them. A newly married professor (Dharmendra) plays a practical joke on his wife’s (Sharmila Tagore) family and it creates a whole lot of mess, when Sukumar(Amitabh Bachchan) and Vasudha(Jaya) enter the scene. There are hilarious dialogues in “shudh” hindi between Om Prakash and Dharmendra, which totally keep the audiences entertained. It is a film when the smile does not the audiences’ faces from the beginning till the end. A real gem and a complete entertainer. A unique theme of a bus journey, with all kinds of funny characters, and great performances, how can this movie be any less than a laugh riot? Mala(Aruna Irani) runs away from her home to become an actress, and is trapped in the plan of her friends, Sharma And Verma (Manmohan and Shatrughan Sinha), and boards a bus, headed to Goa, where she meets Ravikumar (Amitabh Bachchan). The rest, as they say, is the story. The bus journey is full of fun and frolic with the different characters pulling each other’s legs, and Mehmood’s one-liners add to the comedy. A bus journey, where the audience can forget all their worries and enjoy the ride full of fun and laughter. No comedy movie list can be complete without this classic. The only movie, which has both the superstars, Aamir and Salman Khan, starring in super-comic roles. Amar and Prem, two not-so-rich guys are looking for quick ways to get rich, and find the perfect way to do that when they meet Raveena, a rich heiress from London, all of whose property will be inherited by the person whom she marries. Both Amar and Prem try to woo her and end up in a big mess. Paresh Rawal as the father and Teja, and Shakti Kapoor as Crime Master Gogo does a fantastic job. The movie is an out and out entertainer, with Rajkumar Santoshi at his best as a director, and making the two superstars and the best comedians all come together in one film, make it a classic to be remembered for years to come. A typical story about three poor men crazy for money, and a wrong-dialed number. Sounds confusing? Well, that’s the main plot of the story. Baburao Apte( Paresh Rawal) is an alcoholic garage-owner who as two tenants, Raju and Shyam(Akshay Kumar and Suniel Shetty), who all are in dire need of money. A wrong number call from a kidnapper asking for ransom makes them think of a plan in which they get trapped themselves. Paresh Rawal is at his comic best. Priyadarshan’s good direction, a simple storyline, good dialogues and great comic performances make it a must-watch. It is one film which not only makes you roar with laughter every time you watch it but also leaves you emotional and moves you. You can connect to the characters easily, with Munna(Sanjay Dutt) who is a tapori but wants to become a doctor to fulfill his parents’ dream and Circuit(Arshad Warsi) who is completely devoted to his best friend. With the witty one-liners and the typical ‘tapori’ language used in the dialogues, and funny scenes which are strewn across the film, this film will keep a smile on your face till the end and when you come out after watching it, you know it will be remembered for a long time. A hatke story, with an even more hatke caste, the movie surely lives up to its name. Bheja Fry was an unconventional comedy, very different from the usual comedies made in Bollywood. A brave act by the director, as he let the main star be Bharat Bhushan(Vinay Pathak) who carried the film throughout and won many hearts with his best performance till date and made people roll over with laughter at the sheer innocence with which Bharat Bhushan tries to help Ranjeet Thadani(Rajat Kapoor) when his wife leaves him, and creates a big mess. It is a great movie to watch if you want to go hatke, and a movie to be counted as a classic at the same time. 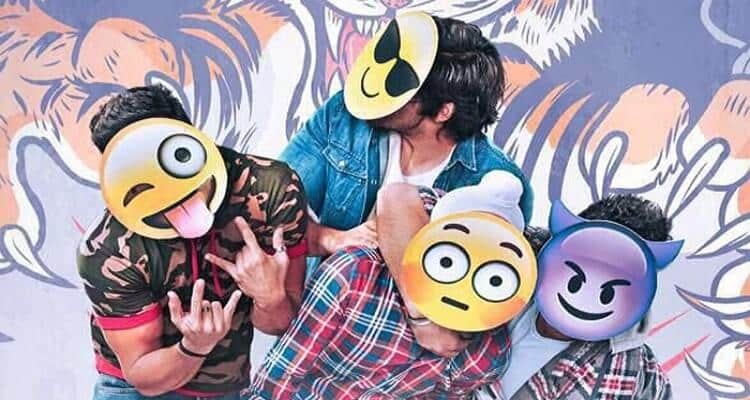 The latest addition to the list of classic comedies of Bollywood has undoubtedly been the coming-of-age, youthful story about four guys who want to do anything for money and end up with crazy ideas to do it. Hunny and Choocha (Pulkit Samrat and Varun Sharma) play the best-friends, who want to get into the best college and depend on their dreams to get the money they require. Same is with Lali and Zafar (Manjot Singh and Ali Fazal) who are equally desperate for money and they all end up with their crazy ideas to Bholi Punjaban, skilfully played by Richa Chaddha. Set in East Delhi, the films made our stomach ache with the jokes and won hearts with the honest and simple approach to the story and characters, making us realize that comedy classics are still made in Bollywood. Next Next post: Top 10 Dangerous Spiders in the world!